What is the right age for IVF ? How is ICSI treatment different from IVF? Ovarian Drilling – How It Helps PCOS? IVF is used to overcome female infertility in the woman due to problems of the fallopian tube, making fertilisation in vivo difficult or due to problems in the partner like decreased sperm quality and quantity. IVF is used to overcome female infertility in the woman due to problems of the fallopian tube, making fertilisation in vivo difficult or due to problems in the partner like decreased sperm quality and quantity. For IVF to be successful it typically requires healthy ova, sperm that can fertilise, and a uterus that can maintain a pregnancy. Due to the costs of the procedure, IVF is generally attempted only after less expensive options have failed. Pregnancy is a complex phenomenon and many things can change in due course of time. People who had a baby with IVF can get pregnant naturally later. Here are a few theories on what can impact natural success in pregnancies after IVF. Sometimes, when a woman with endometriosis becomes pregnant through IVF, her body has time to recover from endometriosis, even if she doesn’t know she has it. The disease is suppressed allowing the female environment to potentially be more favourable for subsequent pregnancies to occur during 9 months of childbearing. For some women, after having their first child through IVF, the pressure of becoming pregnant significantly subsides and with decreased stress and lack of contraception, natural pregnancies may occur. Similarly, at many instances it is seen that women who have adopted a baby conceive naturally later. About 20 percent of people who had a baby with IVF can get pregnant naturally later and this is more likely to happen if the cause of infertility was unexplained. PCOS patients often have regular cycles after a pregnancy, with increasing age the symptoms of PCOS reduce and the hormonal environment slowly returns to normal. This usually corrects defects in ovulation and improves quality of eggs and hence prepares the women for natural conception. 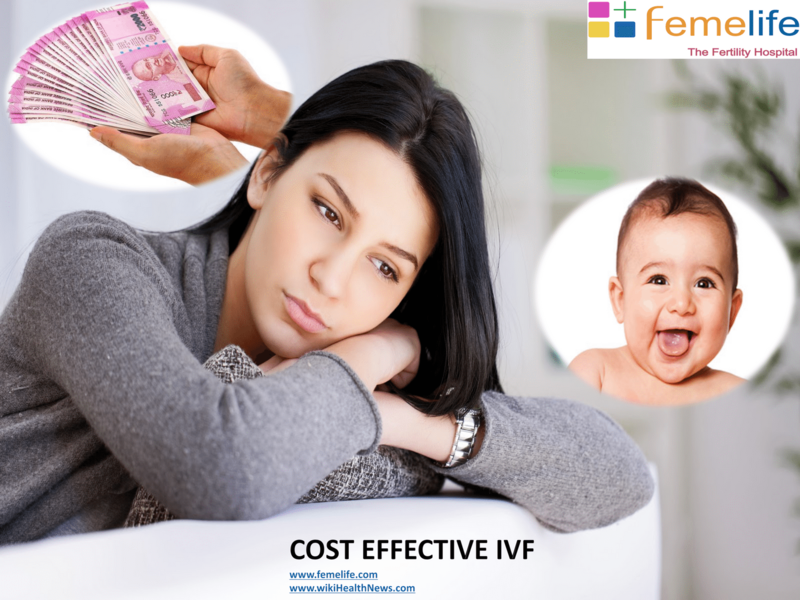 Why IVF treatment is costly? IVF treatment is a programmed procedure extending from 4 to 6 weeks of time. It includes treatment for both the couples simultaneously. Initial investigations for both the couple may vary from 5000 -50 000 INR depending on the extent of problem. Pre-IVF treatment includes corrections of any underlying disorder which may hamper success of IVF. These include any chronic medical disorders like hypertension, diabetes, autoimmune diseases, heart disorders, skin diseases, infections and inflammatory diseases. IVF programme starts with daily hormone injections to the female partner which are costly. These fertility medications may cost around one lakh rupees. Along with these injections continuous monitoring of follicular growth is required. Duration of the injections depends on the protocol decided by the IVF specialist. The protocol may be of long or short duration depending on the patient profile. Once the follicular growth is satisfactory the patient is take for collection of eggs. Oocyte retrieval or egg collection is usually done in an operation room under sedation. This procedure cost will be around 30,000 -50,000 INR. IVF or ICSI procedure is carried out inside a laboratory with advanced microscopes and hi-tech equipment. It usually takes 3 to 5 days to grow the embryos in the laboratory. There are various optional procedures carried in the laboratory apart from IVF/ICSI depending on the need of patient. Some of them are sperm freezing, freezing of oocytes and embryos, IMSI, PGD/PGS, Assisted hatching. Total IVF laboratory cost may vary from 50,000 to 1,50,000 depending on the various steps taken for the couple. IVF/ICSI is not a sure success treatment. It depends on the patient profile, the expertise of IVF specialist and Embryologist. It also depends on the quality of drugs used, culture conditions which varies among Fertility clinics and IVF laboratories. Due to the repeated failures IVF packages become very costly for the trying couple. The decision to have a baby is the first step in a lifelong commitment of love, time, and financial resources. At Femelife Fertility we understand the long-term implications of the couple’s decision and wish to lessen the financial burden from the beginning. Our attention to quality, coupled with innovations in the treatment of infertility, has led to our excellent success rate. What are the alternative to IVF Treatment? Like many aspects of our health, fertility is improved by adopting a healthy lifestyle. Maintaining an ideal weight, a diet rich in antioxidants (found in fruits and vegetables), as well as multi-vitamins may improve the quality of egg and sperm. Avoiding pollution, smoking, junk food, reducing stress and controlling chronic medical conditions such as high blood pressure and diabetes may also improve a couple’s chances of fertility. Couples with underlying medical or genetic conditions should see a doctor so that they can increase their overall health before conceiving. 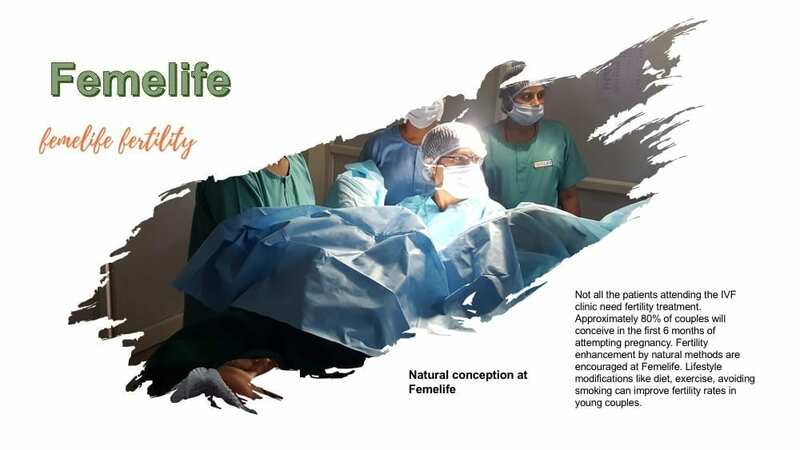 Dr Nabaneeta Padhy at Femelife Fertility evaluates all aspects of the couple and gives suggestions for improving natural fertility. Is low cost IVF Successful? The costs of fertility treatment depend on individual needs. Treatment options range from intrauterine insemination (IUI), which is the least expensive, to in vitro fertilization (IVF) with donor egg, which is the most expensive. Often there are less expensive options than IVF that may work for the couple. The only way to find out how much treatment will cost is to set up an initial consultation. 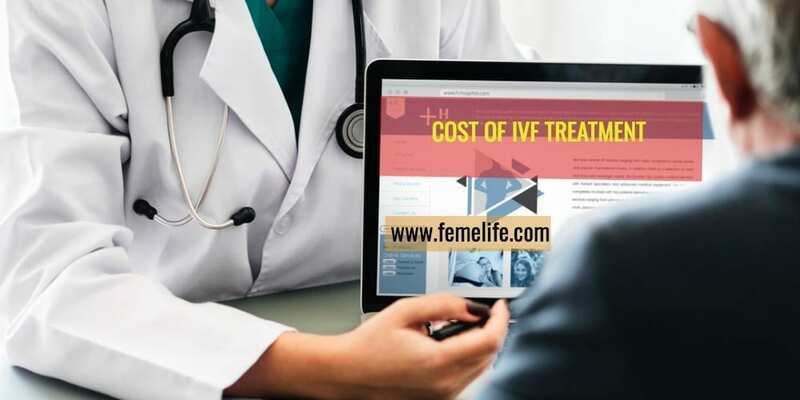 Cost of IVF treatment in India is expensive but at Femelife Fertility infertility treatment is cheaper with high IVF success. Hence Femelife Fertility is the best IVF centre in INDIA. Wide network of IVF clinics of Femelife makes IVF treatment easily accessible for patients from all regions of the world. Is it wise to go for IVF packages? Femelife Fertility has designed several discounted packages to meet the varying needs of patients. Many centres charge for each service individually, and these pays can significantly increase the total IVF cycle costs paid by the patient. Femelife Fertility prefers discounted fees, which are designed as a single price that is paid prior to starting of IVF cycle.